With six spectacular designs by five legendary architects, each of our courses provides club members, residents and guests a unique and memorable experience. 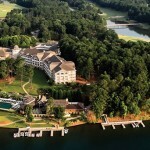 Bob Cupp’s trailblazing efforts of The Landing and Plantation courses helped launch Lake Oconee as a true golf destination. Jack Nicklaus’ Great Waters course offers one of the most stunning finishes in the game with a back nine skirting the lake on nearly every hole. Tom Fazio’s 27-hole National course makes perfect use of the land as it gracefully winds along rolling terrain. 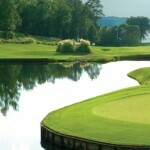 The remarkable resort experience at The Oconee provides a stunning sequence of finishing holes in typical Rees Jones fashion, while Jim Engh’s Scottish-inspired Creek Club gave the community its first club member-only golf course. Sure, there are other places that have one or two notable golf courses, but beyond Reynolds Plantation, few communities can offer a collection of six truly distinctive golf experiences all in one location.